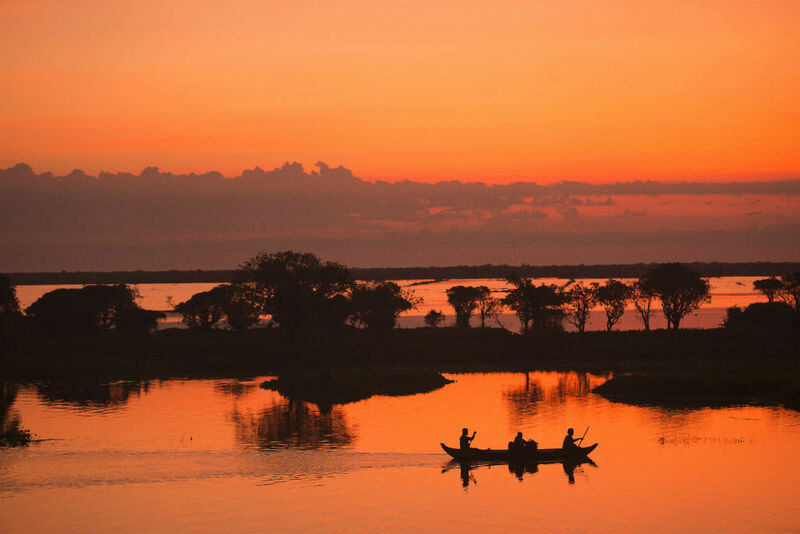 The insider advice on this page is from two of Wendy’s Trusted Travel Experts for Southeast Asia: Andrea Ross and April Cole of Wild Frontiers. During the ten years she lived in Cambodia, Andrea founded a nonprofit that operates education and poverty relief initiatives in the region. Though now living stateside, the network that she and colleague April have developed in Southeast Asia keeps them up-to-date on the newest can’t-miss accommodations, restaurants, and experiences, and their close relationships with the region’s hotels ensure that travelers get the best rates and the best care. Andrea specializes in family travel, while April is the beach and island expert—and a master at crafting extravagant yet affordable honeymoons. 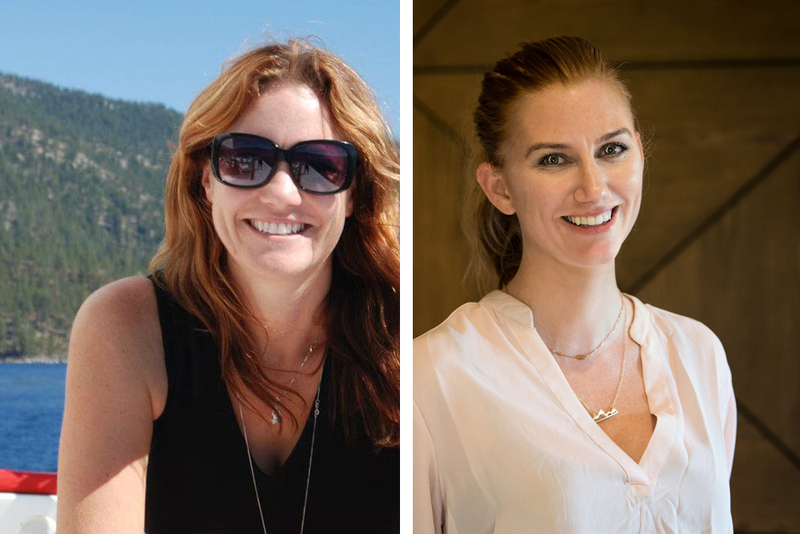 Both women are committed to philanthropic travel, weaving volunteer work into many itineraries. Tam Coc-Bich Dong, Vietnam. Photo courtesy Andrea Ross. In Saigon: Hotel des Arts. Located right in the heart of District One with a rooftop pool and bar, the Hotel des Arts is a hidden gem in the middle of the bustling city. It’s also the epitome of boutique luxury, with a cool sense of modern style but also a keen focus on service and attention to detail. We like the Grand Deluxe Rooms, which are a good value and have wonderful views of the city; if you’re able to spend a bit more, the Executive Studio Suites have corner locations and floor-to-ceiling windows. In Hanoi: The Sofitel Metropole is a wonderful escape from the craziness of the city’s traffic and noise. The charm of this hotel is its colonial feel, and which is most on display in the Historical Wing rooms; our travelers receive upgrades when available. In Hoi An: The Four Seasons Nam Hai beachside resort is the height of luxury—if you’re going, splurge for a pool villa—but for a more cultural experience, we love the Anantara Hoi An. This resort has all the amenities, including free bike rentals and a great spa, and it’s just on the outskirts of the UNESCO World Heritage-listed Old Quarter. Book a river-view room. If you like a modern touch, check out The Royal Hoi An Resort, which has a rooftop swimming pool and bar with great views of town. We prefer the design of the rooms in the new wing, which are also closer to the pool. 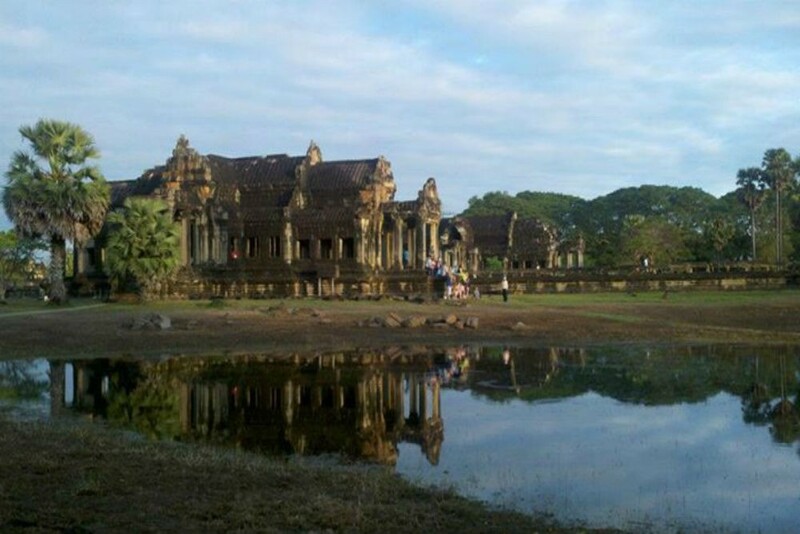 In Can Tho: The Azerai Can Tho. This is the only luxury resort in the Mekong Delta, located right on the banks of the river. Be sure to book a river-view room. In Hanoi: For prime value, we love La Siesta’s properties, which combine a great location in the heart of the Old Quarter with exemplary service. Make sure to request a room on one of the higher floors to get away from the street noise, and insist on a window (yes, some rooms don’t have them). These hotels don’t tend to come with great views, but the value for money makes up for it. In Hue, consider Villa Hue, a small training hotel where local students learn the hospitality trade. They have big rooms, and a staff eager to help! Narrowing down restaurants in Vietnam is almost impossible—the food is amazing and there are so many great places to eat. In Hanoi, we love Banh Cuon Viet, where you can get Vietnamese steamed rice rolls cooked right in front of you…if you’re brave, you can try to make one yourself. In Hoi An, check out Streets; it’s run by an organization that provides housing and job training for disadvantaged youth, and they serve all our favorite Central Vietnam specialties, such as spring rolls, white rose dumplings, and pomelo salad. Both the Western and the Vietnamese dishes are delicious at the Cargo Club, but the real draw is the array of patisserie-inspired chocolate desserts—hard to find elsewhere in Asia. When your kids are asking for comfort food, head to Jaspas for burgers and pasta (there are outlets in Hanoi and Saigon). The service is fantastic and the food is very good. We’ve been known to enjoy their mango daiquiris too! You shouldn’t miss Hue pancakes. The best ones are served on the city’s streets—the vendor will give you bowls of vegetables, meat, and sauce, which you mix to taste inside a thin rice pancake. Bai Tu Long Bay, Vietnam. Photo courtesy Andrea Ross. 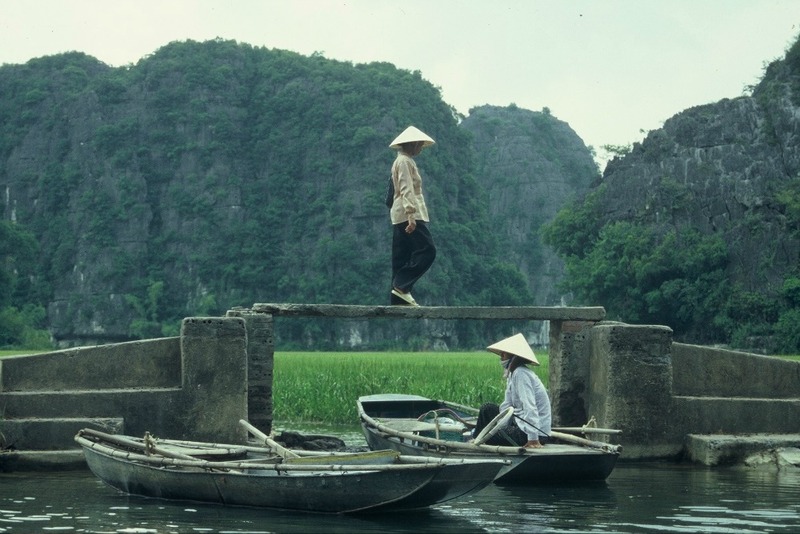 Ninh Binh is our favorite escape from the city. From bike rides to boat rides and exploring caves, there are lots of ways to explore this area’s stunning scenery—and with careful planning, you can also avoid the crowds. We love the outskirts of Hanoi…take a bike ride along the Red River, visit rice paddies, or enjoy a home-cooked meal in a local village. You’re close to the city, but life has a completely different pace and appearance than downtown! The Ho Chi Minh Mausoleum is underwhelming; the long lines for just a quick view of embalmed Uncle Ho make it a bit of a letdown. Halong Bay can also be disappointing—unless you plan properly. To avoid the crowds and trash, book a private boat, or a tour that goes instead to Bai Tu Long Bay. A city tour by motorcycle; it’s such a fun way to see a place as the locals so often do, and also to avoid spending another day in a van! Saigon and Hue are both good options for this; don’t do it in Hanoi, where the traffic is terrifying. Tour the Cu Chi Tunnels (secret corridors used by the Viet Cong during the Vietnam War) with a Vietnamese veteran, followed by dinner in his home. You’ll hear all about what it was like to help build—and then live inside—this elaborate tunnel system. The best place in Vietnam for downtime is Hoi An, on the central coast. Rent a bike and head to Cargo Club for breakfast, then ride to the beach and enjoy some time by the ocean. After lunch, bike back to town for some shopping, or take a boat to An Island and ride your bike around the rice paddies and local homes. In the evening, catch a free cultural performance in the Old Town’s main square. Oxalis Adventure Tours organizes expeditions into the world’s largest cave, with multi-day excursions that include camping in the caves, trekking, spelunking, and a farm stay. For those who want an adventure without the intensive caving experience, we recommend sunrise kayaking in Hoi An. Being on the water as the sun comes up, and then heading to shore and for coffee and some pho with a local fisherman, is an experience you won’t forget. Danang is perfect for travelers who want beautiful white-sand beaches, plus a bit of culture and history in nearby Hoi An. 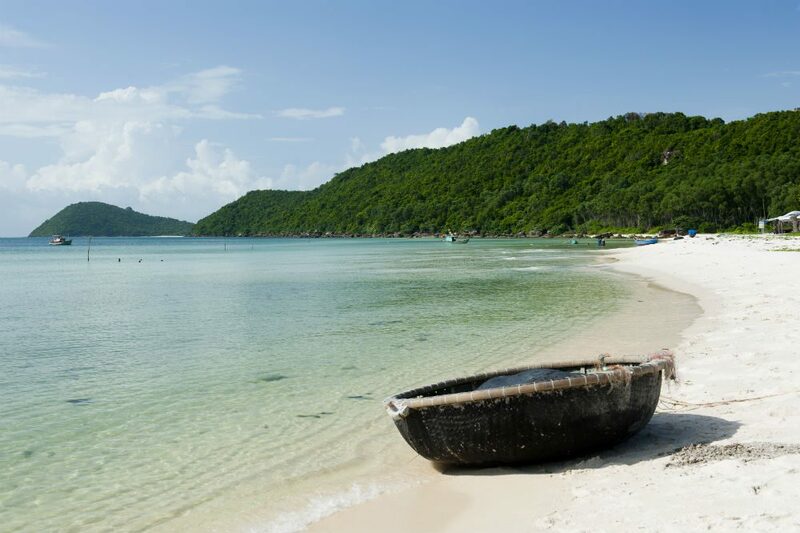 Phu Quoc used to be a quiet and undeveloped island, but there are now many international brands building resorts here, and direct flights arriving from Bangkok and various cities in China. Our favorite hotel is La Veranda. Tucked away from the hustle and bustle of over-developed Nha Trang, Ninh Van Bay offers lush green jungle, beautiful rock formations, and a quiet beach area on which to lounge; we like the Six Senses Ninh Van Bay. If you’re looking to scuba dive in Vietnam, Ninh Van Bay has a thriving coral reef. A little island off the coast of Southern Vietnam, Con Dao is true a tropical getaway with very little development. Come between July and October, when you can see the green sea turtles hatching, and even help with their release. Stay at the Six Senses Con Dao, and book a boat for the day to explore nearby smaller islands, stopping to snorkel and hike. 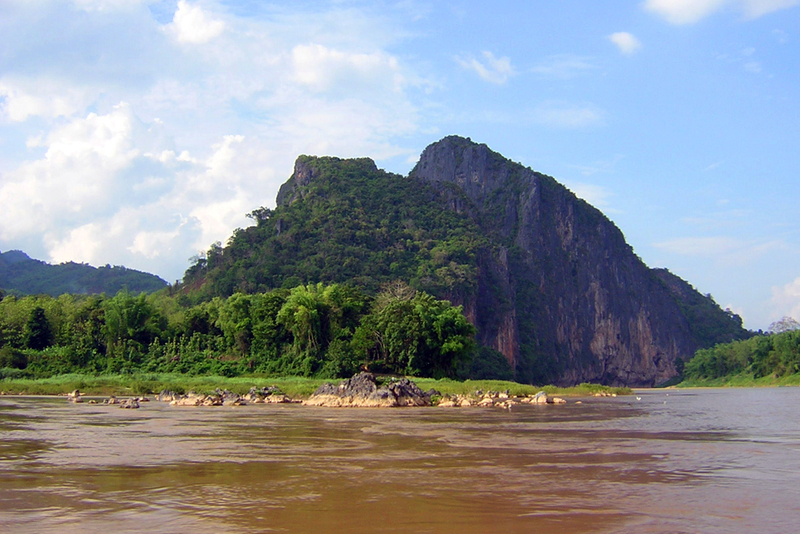 Since the monsoons hit northern, central, and southern Vietnam at different times, weather across Vietnam varies widely; if you plan on traveling throughout the country, the driest months to visit are March and October. In the north, the best weather happens during March and April. For Hoi An, Hue, and the central coast, the optimal time is February, March, and April; October, November, and December are ideal for Ho Chi Minh City and the south. During the Tet Festival, or Vietnamese New Year (it falls in late January or early February, coinciding with the Chinese New Year), the country comes to a halt as everyone returns to their hometowns to celebrate. Also avoid July and August, which are very hot. Being anxious! 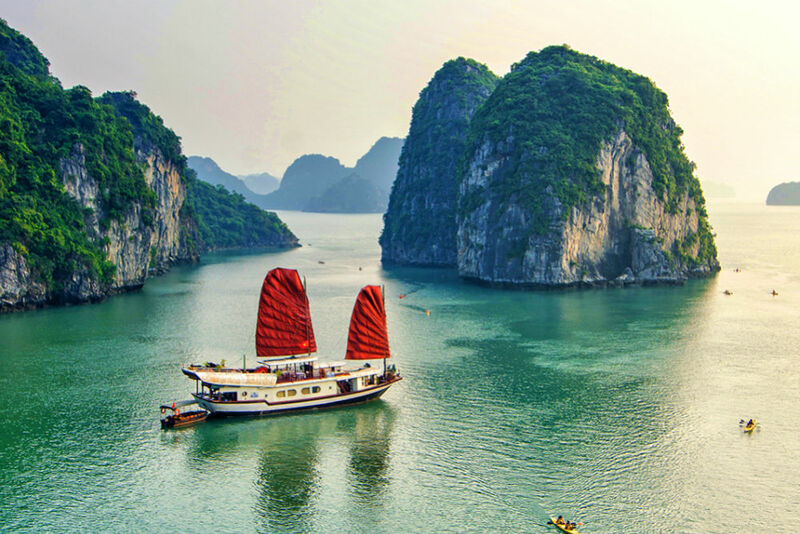 Vietnam’s history with the U.S. can make American travelers nervous before they visit, and then once they arrive, the traffic and constant movement can be overwhelming. Vietnam is an incredibly busy place, but the people are lovely and bear no hard feelings toward Americans. Don’t let the history and the horns unnerve you! Often, travelers don’t want to be rude or appear to undervalue a product or service by bargaining—but in Vietnam it’s an essential part of life. A bit of back-and-forth can often save you 20 percent to 50 percent off the original price, and everyone will walk away happy. People are sometimes surprised at the level of tipping in Southeast Asia, but as life in the cities has gotten more expensive, guides and drivers increasingly depend on tips. We recommend $10 to $20 a day for a guide and about half that for the driver. For hotel staff, we recommend $1 or $2 for porters, and the same per day for room staff. Vietnam now offers an electronic visa for U.S. citizens. The process to apply online is pretty straightforward, but the lines for e-visa holders are very long. We offer a VIP arrival service (about $55 per person, excluding visa fees) that whisks you to the front of the visa line, then helps you collect your luggage and find your tour guide. A beach ball! They’re cheap and easy to pack; blow them up on the beach in Hoi An or Halong Bay and you’ll make instant friends of the local kids. Despite the rapid development in Vietnam, the conical hats still worn by many locals are a truly iconic symbol of the country. Whether on the pho seller crossing the street in Hanoi or the rice farmer in the fields around Hoi An, these hats are a beautiful tribute to Vietnam. We love Vietnamese lacquerware—trays that we bought years ago are still in perfect condition. You can find lovely pieces on Lacquer Street in the Old Quarter of Hanoi, or in Hoi An and Saigon. You also can get clothes made at bargain prices; bring your favorite items for a tailor to copy, or choose among the western and Vietnamese designs in each shop’s catalogs. In Hoi An, we love Ms. Trang at 47 Trang Hung Dao Street; she’s been making clothes for us for years and has great fabrics and pricing.